A while ago, a friend asked if she could buy a batch of cupcakes as a birthday presents for her vegan friend. The theme was unicorns, mermaids, rainbows, glitter. Awesome. 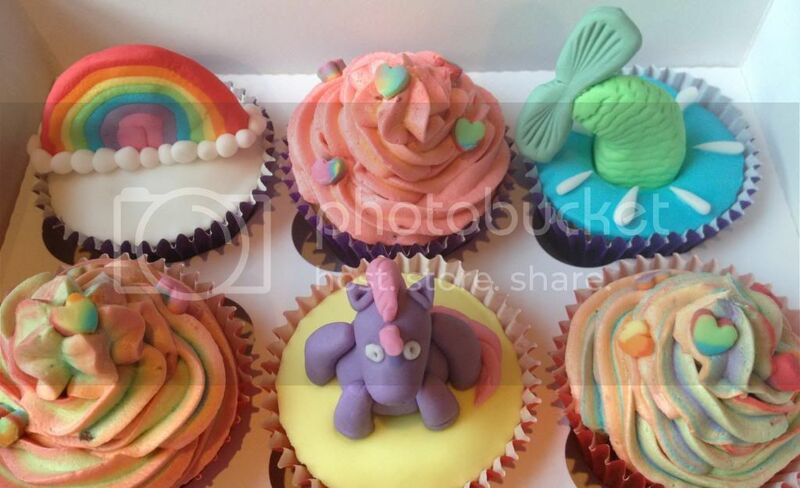 These are vanilla cupcakes with a dollop of jam baked into the centre, topped with rainbow vanilla frosting, or brushed with melted jam and topped with a layer of fondant and a fondant model. I ended up leaving out the glitter as I didn't have time to find out which brands were vegan - but I got everything else in! The mermaid is my favourite, and was probably also my favourite to model. 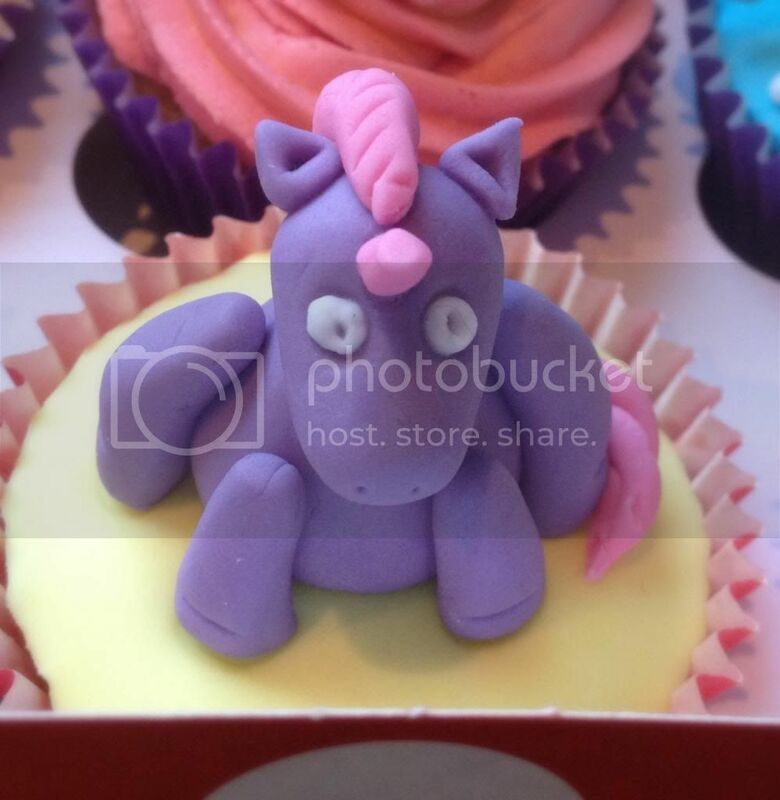 The unicorn was the first one I attempted, so it took me a while as I wanted to take my time and get into it properly, as I've not done much fondant modelling before. I'm pretty happy with the result - although he is a bit fat! 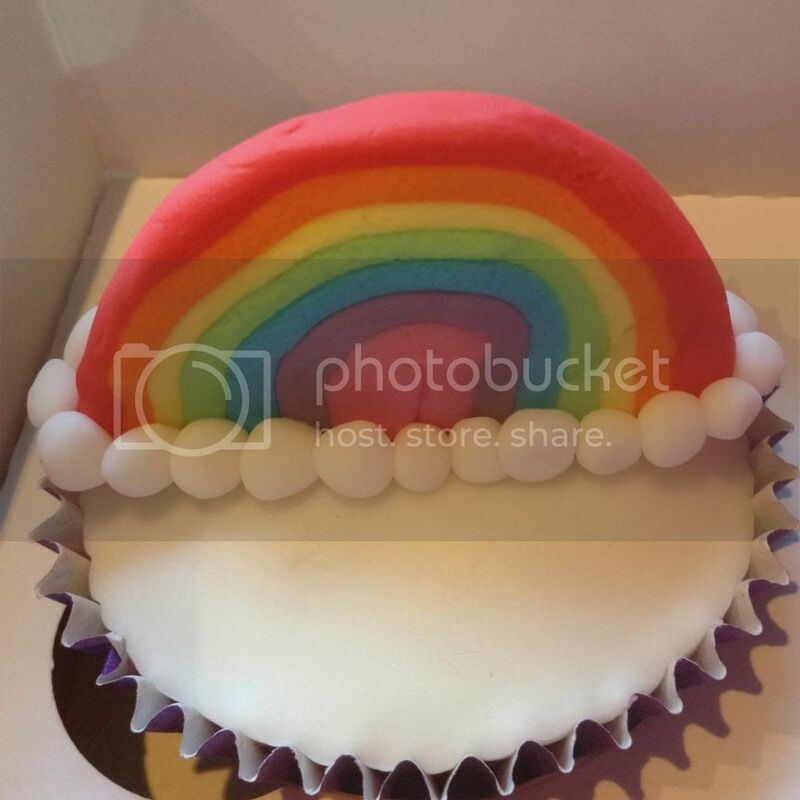 The rainbow came out the size I was hoping for - although I did overestimate how much fondant I would need to make it! Yay! I love having satisfied customers! 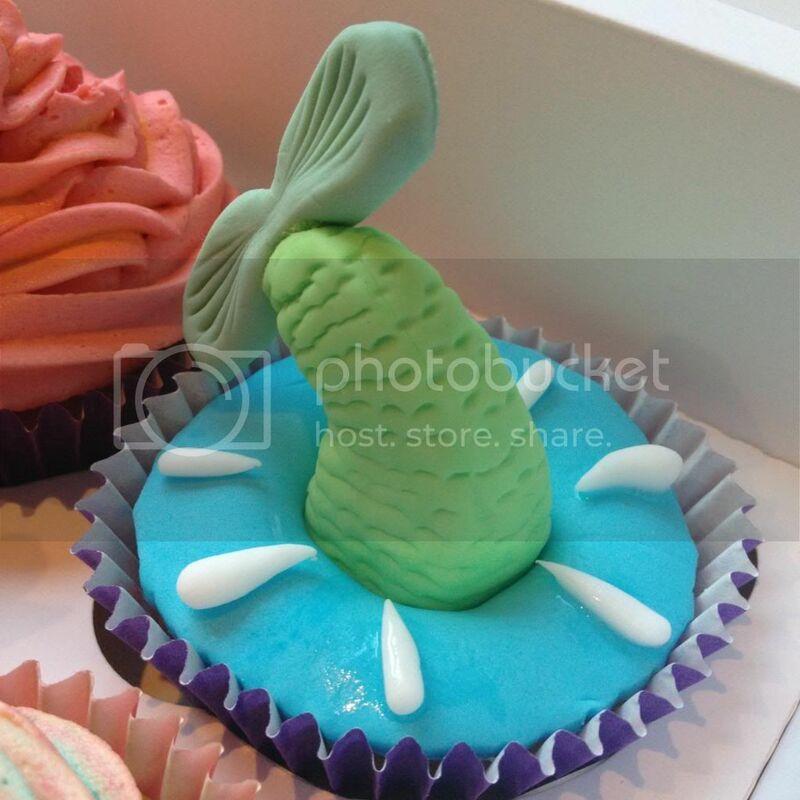 I really enjoyed playing with making models from fondant and hope that I'll get chance to do it again soon. I'm sure I can find birthdays / events / ...Sundays to use as an excuse to practice! If anyone has any suggestions of things I should try to model, let me know! I love a challenge! 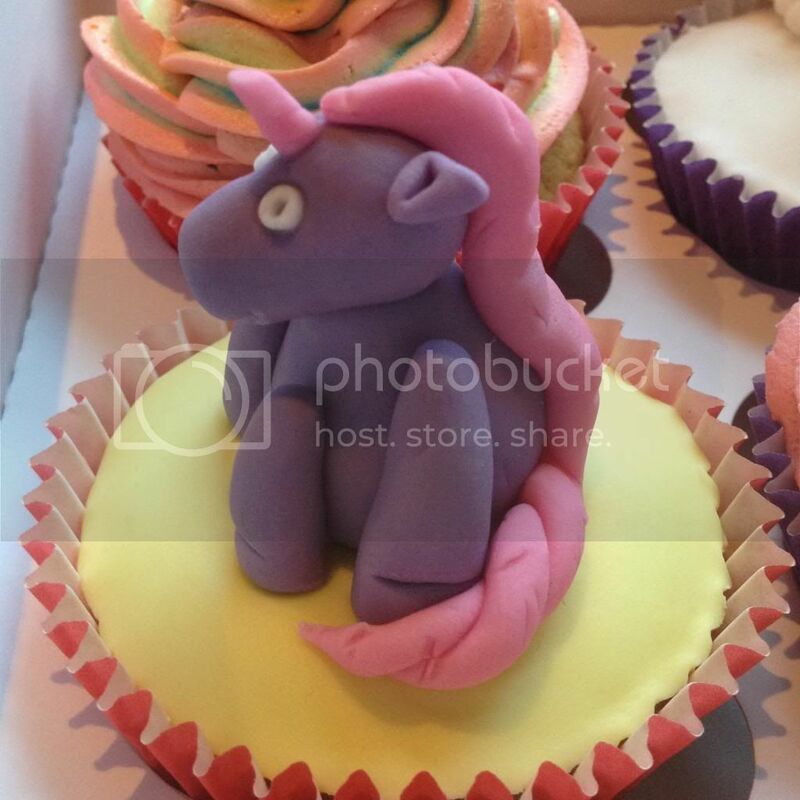 What sort of things have you guys made out of fondant?